Join us for a Holiday Kick Off Party!!! 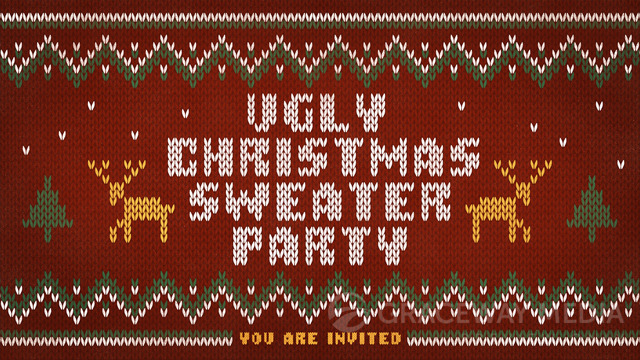 Wear your ugliest Holiday Sweater to the bar on Saturday, December 10th starting at 8pm!! We are breaking out the SHOTSKI WITH SIRENS!! Bring your posse, get out the sweaters and party down!! Anyone who brings a canned food good or unwrapped toy for charity (all donations going to Church on the Square for handling) gets a FREE POINSETTIA COCKTAIL!!! Drink Specials served all night! Plus we’ll have some fun, and free, Airbrush Tattoos! Terremoto will be in the house with samples and Shot Specials!! Free JukeBox Music all night long, and of course, ALL of the holiday cheer you can handle! Prizes for best sweater and your pictures splashed on our FaceBook page as the Holiday Sweater Champ! !